The University of Ljubljana (Univerza v Ljubljani) was established in 1919 on the foundations of a long-established pedagogical tradition. Since then, it has grown and expanded, so that today it consists of 20 Faculties, 3 Academies and 3 University Colleges. One of them is the Faculty of Electrical Engineering. The number of students currently studying and training for future careers is about 34,000. 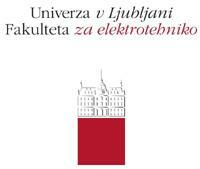 At present, the University employs about 1,500 professors who perform two fundamental tasks - education and research. Research work at the Faculty of Electrical Engineering operates in 9 major fields, which are fully covered by 261 registered researchers and 31 technical staff working in 26 research groups. The Centre of Distributed Energy Sources at the Faculty of Electrical Engineering is the central research group for distributed energy sources in Slovenia, where four laboratories are covering RTD&I aspects of efficient use of energy, renewable energy sources, power networks, distributed generation and energy strategies. Our role in the project includes contributions to the content of the financial reports and the website, contribution to the development and implementation of the media plans (local media involvement), promotion of the AlpStore project at the conferences and organization of the summer school in Slovenia.